On the anniversary of the International Day of Human Rights (December 10th) the European Parliament approved a four-year agreement with Morocco to allow European boats to fish in territorial waters off Western Sahara. The EU does not recognize Western Sahara as part of Morocco. Furthermore, the occupation of Western Sahara represents a violation of the United Nations Charter prohibition of aggression and forced annexation. Acting as a realist rather than normative power, the EU adopted an approach which contradicts some of its own policies applied in other contexts. This is particularly evident once that the fisheries agreement is analyzed in the frame of the recent (July 2013) EU guidelines barring loans (which constitute less than 10 percent of funds the EU allocates in Israel) to Israeli entities established, or that operate, in the territories captured in June 1967 (the “EU Guidelines”). The EU-Morocco deal applies not just to the area under internationally recognized Moroccan sovereignty, but to all areas under its jurisdiction, including the Moroccan-occupied Western Sahara. The EU Guidelines, on the other hand, apply to the West Bank, East Jerusalem, and the Golan Heights: all areas under Israeli occupation. This post and its follow-up, which will be posted later today, argue that the EU is right about Israel and wrong about Western Sahara. Together, they discuss the EU approach to Israel-Palestine in a comparative way by first examining EU policy in Northern Cyprus and Western Sahara – two crucial cases often raised by critiques of EU policy towards Israel to highlight EU double-standards – before turning to the Israeli-Palestinian case itself in the second post. It is often claimed that Brussels “knowingly and purposefully provides substantial direct financial assistance to settlements in occupied territory – in Turkish-occupied Northern Cyprus”, and that in Northern Cyprus “it is EU policy to provide grants specifically for settlers of such territory”. The reality is indeed more complex. These policies are carried out by the EU with the official purpose “to facilitate the reunification of Cyprus” and with the aim of “improving the contacts between the two communities”. They are fully consistent with international law, including with Article 43 of the Hague Regulations, according to which building infrastructure is to a certain extent part of the occupier’s obligations, as long as the infrastructure is built for the benefit of the local population. Since decades Western Sahara and the Palestinian territories are witnessing two struggles for self-determination. Both areas register human rights violations and both are recognized by the United Nations as being illegitimately under the rule of a foreign power. The two contexts, however, have few other points in common. Still today Western Sahara represents one of the most sparsely populated territories in the world. Contrary to Palestine and its local majority, under Spanish colonial rule Western Sahara was inhabited mainly if not only by nomadic tribes which paid allegiance to different powers. When territorial boundaries have been imposed by the colonial powers, the nomadic tribes that roamed sub-Saharan region were largely ignored. Several Sahrawi tribes, characterized by an internal governance structure, paid allegiance to the central authority of the monarchy in Morocco. This aspect has been confirmed by 1975’s International Court of Justice’s (ICJ) advisory opinion, which, beside upholding the right of the country’s inhabitants to self-determination, pointed out that there were “legal ties of allegiance between the Sultan of Morocco and some of the tribes living in the territory of Western Sahara”. Sahrawis have the full right to self-determinate their future and Morocco should be considered accountable for its violations of human rights. Nonetheless, it is still today a matter of harsh debates to which extent Polisario – the Sahrawi rebel national liberation movement, supported since 1975 by the Algerian government, committed to put an end to the Moroccan occupation of Western Sahara – should be considered the sole or even the main legitimate representative of the Sahrawi people. The Author states that both Western Sahara and the Palestinian territories “are recognized by the United Nations as being illegitimately under the rule of a foreign power”. I am not sure which particularly UN organ the Author is referring to or whether it has the authority to constitutively determine the illegality of another State’s presence. In any event, and assuming arguendo Judea and Samaria/West Bank is occupied, Israel’s presence in the Territories derives from a lawful act of self-defence. Thus, even the ICJ in its Israel-bashing Wall advisory opinion did not consider Israel’s “occupation” illegal, whereas only Judge Elaraby stated otherwise (and we know what happened to him). Does this make a difference? Yes, in accordance with the principle of ex injuria jus non oritur. As Morocco’s presence derives from an illegality, measures taken by it in Western Sahara beyond “acts and transactions… relating to public property, concessions, etc.” must be considered null. Even if the occupation would be in self-defence the local population still has the right to externa self-determination, which means the right to determine the future of the territory, including the right to an independent state. Moreover, see here scholars arguing that the occupation is indeed illegal. Ori I am not sure what you mean with ‘Israel’s presence in the Territories derives from a lawful act of self-defence’. There is nothing like a lawful preventive act of self-defence in international law. Under the UN charter, states may not initiate war against another. Force may, however, be used in defense in the event of an “armed attack”. Furthermore, in Quigley’s words, ‘the june 1967 war, rather than serving as precedent for preventing war, should be the poster child for pretexual invocation of force used in advance’. That is probably the most legally, intellectually and rationally absurd remark I have seen to date in 2014. Reading further, when Ori qualifies the ICJ Legal Consequences of the Construction of a Wall in the Occupied Palestinian Territory Advisory decision as “Israel-bashing Wall advisory opinion”, I stopped reading all together. Thought we were in the 21st Century! I’m very interested in the legal discussion that is being held here; however, Canuck and Kevin, ad hominem attacks are not relevant legally and only deteriorate the level of conversation. I’d love to hear what you have to say about the essence of the legal conclusions reached by Ori. OJ bloggers probably have more important matters to attend to than comment on “legal conclusions” of every person who devises his/her own sci-fi legal theory; you know there’s one when you see “Wesbank”, “occupied” and “arguendo” in one sentence. the State “has an interest in protecting the self-determination of its own people – something difficult to maintain without security”…. and in pushing new settlers to colonize the area. Security often works just as a blanket to cover other interests. You claim that “State practice and opinio juris has accepted the principle of anticipatory self-defence when an armed attack is imminent”. It is more complicated than this and, on top of everything, the sentence “when an armed attack is imminent” does not apply to this case. Proponents of anticipatory self-defence have sought examples predating the june 1967 war but have come up empty. The US could clear the air in discussion of a resolution of this issue by simply acknowledging the facts as they appear in “Foreign Relations of the United Nations 1964-1968” – that the US assessment was that Egypt had no intention of attacking Israel, that the US tried desperately to dissuade Israel from attacking Egypt, and that Jordan and Syria entered the hostilities only in response to Israel’s invasion of Egypt. The fact that you just used the phrase “with someone”, points exactly to the use of ad hominem. If the same argument were given by someone who would not use such jarring terminology, what would be your legal stance? You need to refresh your recollection of what an ad hominem attack is. Brian Leiter has a good explanation here. While that is an interesting explanation (which actually strengthens my point, as you had used his terminology as a reason to discredit his arguments, while those arguments are not based on the truthfulness or credibility, vel non, of those terms) — I’m still interested in hearing (or, reading) your legal response. One has to assume that Kevin similarly ignores The League of Nations Mandate for Palestine (Eretz Israel) and the UNGA Resolution 181 which both refer to the District of Samaria, Samaria and Judea. 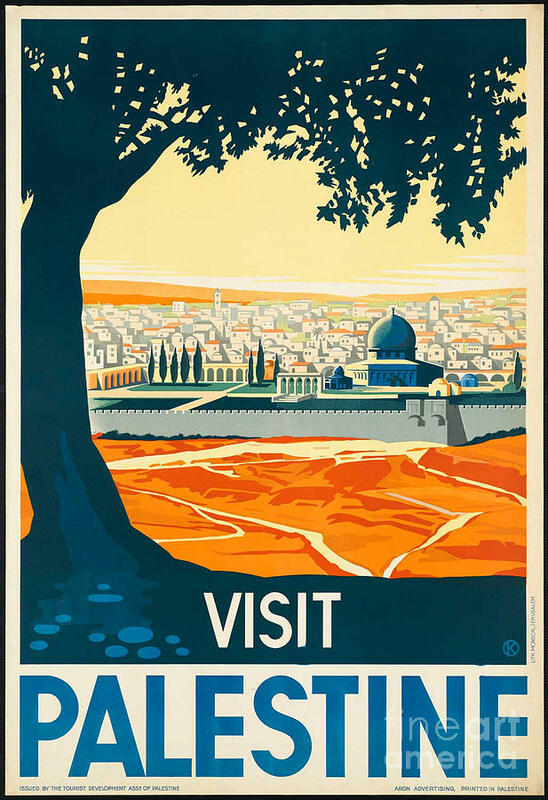 West Bank is a term that originated from the illegal occupation of Cisjordan by Transjordan in 1948/9. It is not controversial at all. The most states in the UN become independent based on this right. ICJ treated the occupied territories as an interrupted case of decolonisation + a military occupation. In both case the local population has the right to self-determination. Palestine was an Ottoma colony after all and a mandate. Populations in colonies and mandates have the right to self-determination. The Jordanian and the Israeli occupations would not void this right. “judea and samaria…the terms are geographical…West Bank is a term that originated from the illegal occupation of Cisjordan by Transjordan in 1948/9”. Morris, the terms are political. If want your “judea-samaria” push the State of Israel to give back the coast between Ashkelon and Ashdod that was not occupied by the “israelites” for one single day in its entire history. Otherwise you risk to be selective. And BTW, jews were given Judea and not Samaria. Jews descend from Judah, and not Ephraim, Manasseh etc. who were ancestors of Samaritans. Most Samaritans, that at the times were despised by Orthodox Jews in Jerusalem, converted to other religions after VI-th century, and the largest number of both Samaritans and their descendants is in the area of Nablus. Samaritans were not affected by the expulsion of Jewish rebels by Romans and their population was large enough that they rebelled when Byzantines tries to forcibly convert them to Christianity in VI-th century. did you read the second post of this article? It’s also, if not mainly, about this issue. “Explanation (historical or legal) of such assertion…”: again, check post n. 2, we dont have to repeat everything in the comments. playing the role of the victim? i am very happy to read informed comments from persons with different ideas. for now Ori’s comments were rather weak, this doesn’t mean that we will not read or take into consideration yours or his coming comments. To bring us back to the original question regarding EU standards I propose that the EU establish its good faith credentials and create an example that could lead to resolution of the Israeli-Palestinian conflict. It could do so by ending the illegal occupation of the South Bank (aka Andalusia) of the Iberian peninsula. Step 1 – relocate the existing populations from the south to their historical homelands of Catalonia, Asturias and Galicia. Step 2 – restore the stolen property and lands stolen from those Moslems and Jews illegally expelled. Step 3 – allow a harmonious multi-cultural state to arise which could be an example to others. Maon, the terms are geographical and historical, not political. Samaria was the capital of the Kingdom of Israel and later incorporated into the Roman province of Judaea. Whether the Samaritans were descended from the lost Israelite tribes or from a transplanted population of Assyrians, their name was taken from the city of Samaria that had previously been the Israelite capital. The reason the Samaritans survived the Roman exile was because they were in conflict with the Jews thereby earning the respect of the Romans. Under Byzantine rule, community was practically wiped out and those who survived lived as second class citizens/dhimmis until the arrival of the British. Hostage, I must depart from your opinion concerning the Jordan. To begin with, the two exceptions to the prohibition of use of force (self-defence or UNSC authorisation) are absent for justifying Jordan’s invasion in 1948. In any event, while being a guiding principle of the UN Charter, a legal right to self-determination itself was yet to form (see e.g. Antonio Cassese, Self-Determination of Peoples: A Legal Reappraisal 37-43 (1995); Malcolm N. Shaw, Self-Determination, Human Rights, and the Attribution of Territory, in From Bilateralism to Community Interest: Essays in Honour of Bruno Simma590, 598 (Ulrich Fastenrath et al. ed., 2011)). Moreover, as noted by a Chamber of the ICJ in Gulf of Maine, “uncertainties and a fair degree of inconsistency” in policy cannot constitute acquiescence. Yep, mere coincidence that the commenter on this post who is pushing the ultra-right Israeli line uses the terms “Judea” and “Samaria.” Nothing remotely political about that. They are the names for the territory in the Hebrew language. Hostage wrote “…the Rome Statute which explicitly state that all military occupations are illegal or that an occupation in violation of the UN Charter in illegal.” Maybe smarter minds can assist me here, but I just could not find anything in the Rome Statute that remotely says anything about all military occupations are illegal. Furthermore, can some explain to me what a legal occupation is or would look like? And if occupation is illegal, then why does the Fourth Hague Convention provide legal guidance on occupation; and why is the entire Fourth Geneva Convention dedicated to governing occupation if it were illegal. In other words, why write a treaty to govern something that is illegal? Occupation is not per se illegal under IHL. Certain activities during occupation — such as annexation, transfer of civilians into occupied territory, etc. — are. That said, in the present era, occupation is very likely to run afoul of the jus ad bellum. Even if an initial occupation is lawful self-defence, the jus ad bellum‘s necessity and proportionality requirements make it essentially impossible to justify maintaining the occupation long-term. Contra Ori, therefore, it is irrelevant whether the initial occupation of the West Bank can be defended on the basis of self-defence; even if it could, the fact that the ongoing occupation “derives from” the initial defensive act does not render it legal. Whatever justification existed for the initial occupation (and to be clear, I do not think there was any such justification) has long since ended. P.S. I recognize that the amendments to the Rome Statute that make military occupations in violation of the UN Charter a punishable offense have not entered into effect for the ICC. But the Rome Statute is simply reciting a customary definition that appeared in General Assembly resolutions on the Definition of Aggression and the Declaration on Principles of International Law Concerning Friendly Relations and Co-operation among States in accordance with the Charter of the United Nations. Any state could employ those in the exercise of its own jurisdiction. Territory that was militarily conquered remains occupied until sovereignty supplants foreign control. As long as the Gaza Strip – that is part of a self-determination unit – is non-sovereign, it is occupied, and as long as it is occupied its relationship to Israel continues to be governed by IHL (the Criminal Procedure Law of 2006, for example, allowed Israel to incarcerate Palestinians from the Gaza Strip suspected of criminal offences in detention facilities in Israel and to prosecute them in Israeli civil courts). Gaza (unilateral) withdrawal was a disengagement and not an end of accupation (Israeli drones monitor Gaza from the air, Israeli naval ships prevent Gazan fishermen from sailing more than 4 kilometers from shore..). On top of this, the wall and the evacuation of the ground settlements in Gaza were parts of the same national security logic of unilateral solutions that the settlements were – perpetuating and intensifying animosity and violence, rather than undoing them (and btw, in 2005 Sharon removed 7,000 settlers from Gaza, and simultaneously settled tens of thousands of others in settlements across the West Bank). As Carl points out, that is precisely the opposite of what I said. IHL applies to all occupations, legal or illegal. The illegality of an occupation under the JAB does not render anything illegal under IHL; the NMTs specifically held as much after WW II with regard to the Nazi occupation of the Eastern Territories. I discuss those holdings in my book. 1. if it is not, then Israel’s blockade of Gaza is illegal and an act of war against the flag state of any ship interdicted by Israel (such as the Mavi Marmara). Blockade is only permissible in international armed conflict (see the Civil War cases in the US), and in the absence of occupation the only possible conflict between Israel and Gaza is non-international. I just want to commend the civil tone and the erudition in the comments to this post (and other recent ones). It’s unusual and refreshing. And I want to apologize to Ori for branding his views ultra-right; although references to Judea and Samaria are a pet peeve of mine, I should not have uncritically assumed he was simply parroting the ultra-right company line.